'S e loch ann an Alba a tha ann an Loch Cluanaidh (Beurla: Loch Cluanie). Tha e suidhichte air a' Ghàidhealtachd ann an Cinn Tàile mu 20 cilemeatairean san iar air Cille Chuimein eadar Loch Nis agus Loch Duich. Tha an loch mu 10 cilemeatairean (6.2 mìle) a dh'fhad agus mu 800 meatair a leud. Air taobh tuath na locha tha an rathad A87 a' dol seachad. San taobh a deas na locha chan eil ach rathad prìobhaideach a leanas gu "Cluanie Lodge" gus air adhart gu Loch Loinne. Mar sin tha an t-àite seo gu math tarraingeach don luchd-coiseachd. 'S e loch-tasgaidh a th' ann an-diugh. Chaidh dama a thogail le Mitchell Construction a bha deiseil ann an 1957. Bha sin na phàirt den North of Scotland Hydro-Electric Board's Glenmoriston, gus dealan-uisge a chruthachadh. Tha an dama cho àrd ri 40 meatair agus mu 675 meatair a dh'fhad. 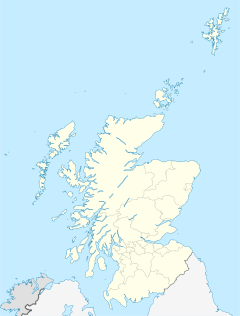 Air a tharraing à "https://gd.wikipedia.org/w/index.php?title=Loch_Cluanaidh&oldid=466101"
Chaidh an duilleag seo a dheasachadh 31 dhen Lùnastal 2014 aig 10:40 turas mu dheireadh.